Just listed! 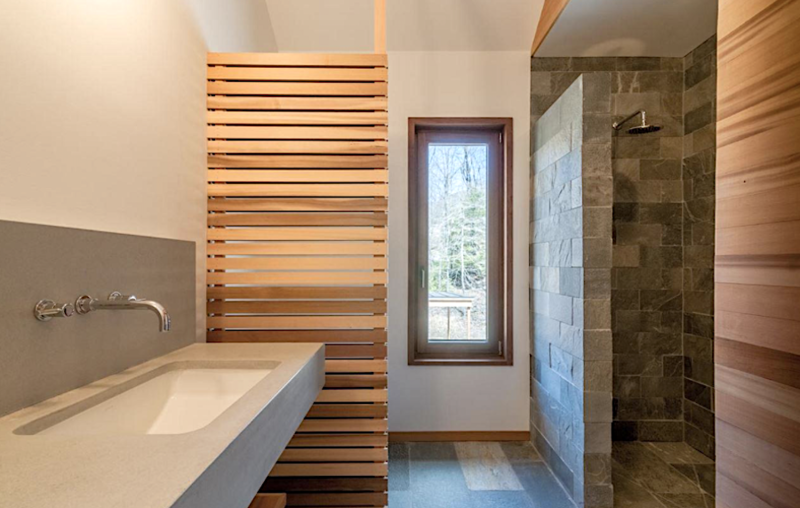 Hudson Woods is the epitome of country living with a modern aesthetic. 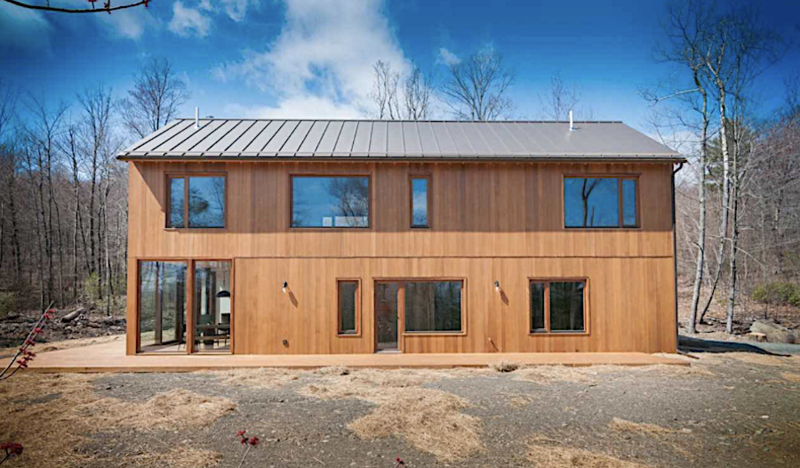 The clean lines of the cedar clad exterior, copper flashing, and metal roof beautifully begin to showcase the superior craftsmanship and design you'll find inside and out. This gathering of modern, eco friendly and architecturally significant homes is the talk of the town. 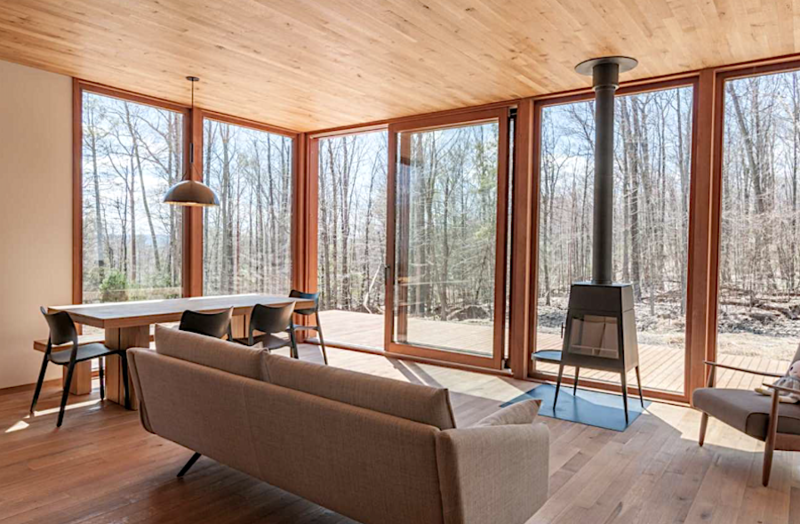 Expansive walls of windows seamlessly blend the interior with the surrounding woods, while designer lighting lends individual character to each room – carefully curating each moment inside and out, for perfection. 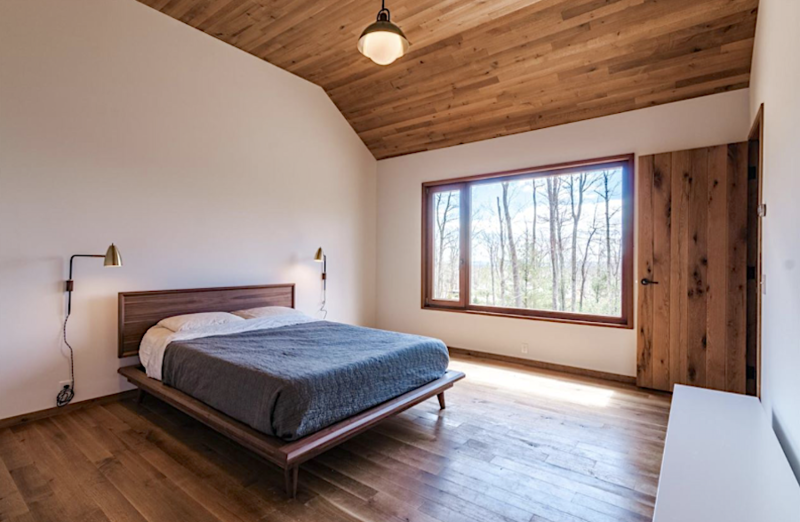 Enter to find a warm, brand new interior, with locally sourced rift and quartersawn White Oak flooring, doors, paneling and cabinetry. 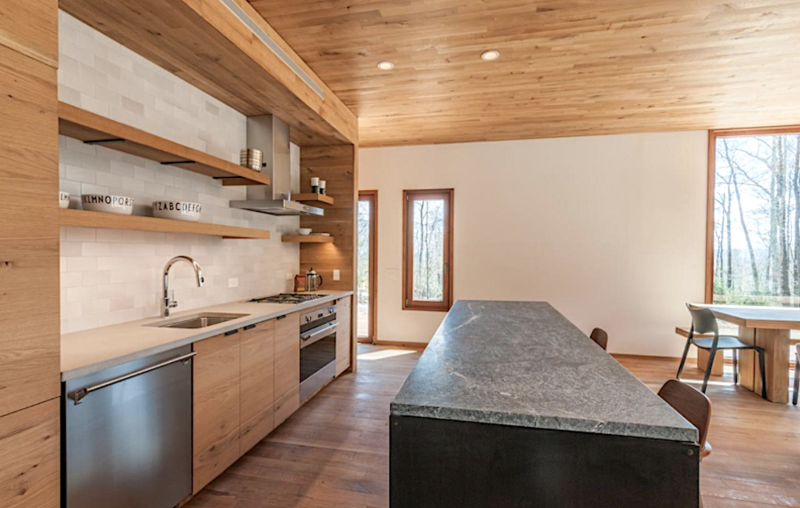 The kitchen has concrete counters, SMEG appliances and a freestanding island built by a local furniture maker from blackened steel with solid black walnut drawers and soapstone countertop. The kitchen is open to the vaulted greatroom with Shaker wood burning stove and floor to ceiling doors leading to wraparound cedar decks. The ground floor bedroom has a spa quality bath. The master bedroom has a large master bath with double sinks and walk in shower with stone surround, and a large walk-in closet. The upstairs guest bedroom has an ensuite bath with farmhouse sink. An upstairs gathering space with vaulted cedar clad ceiling is a perfect second living area or media room. The spacious laundry room is convenient to the bedrooms. 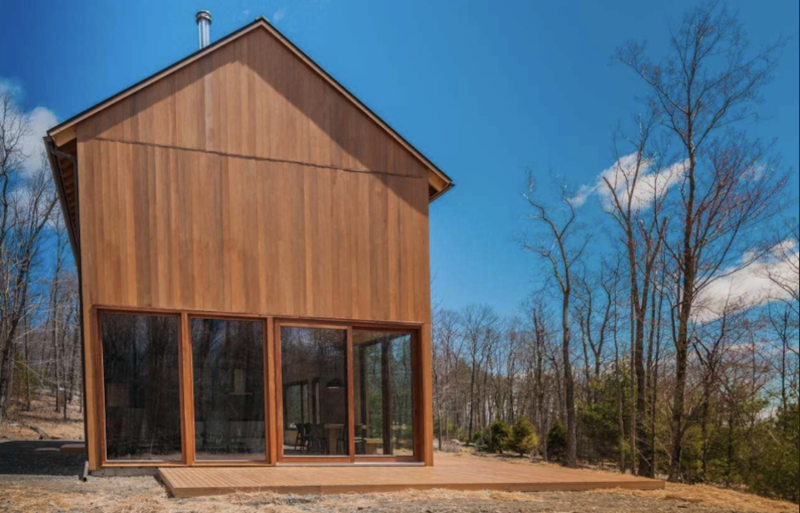 This one-owner, never-lived-in home has all high end systems including high efficiency radiant heat, central air splits and Nest thermostats. 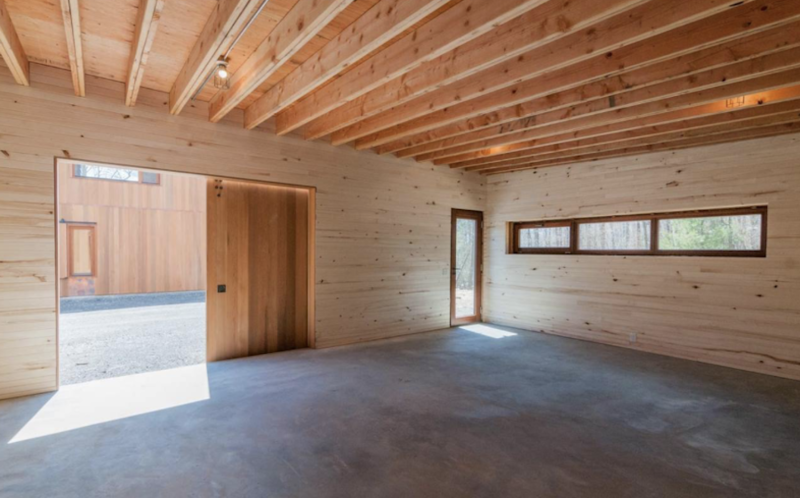 The garage has an electric vehicle charger, and vaulted open space with sliding barn doors that would make a perfect studio or workshop. 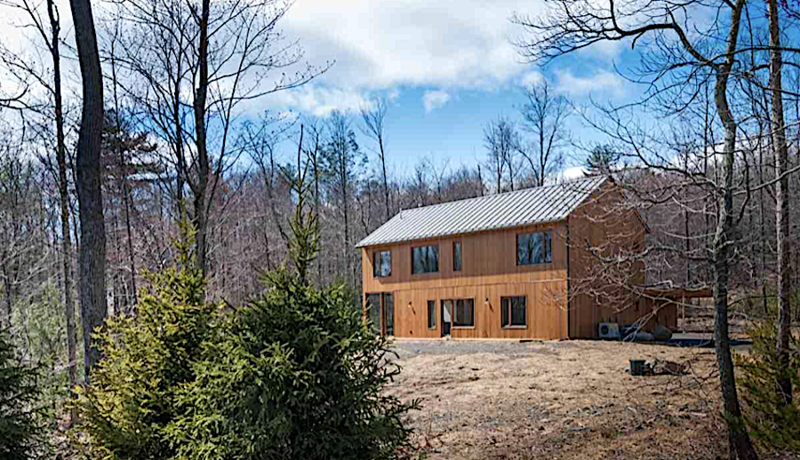 The home sits on nearly 5 acres in the quaint town of Kerhonkson, NY. Make the landscape your own, with plenty of room for a pool or organic gardens. 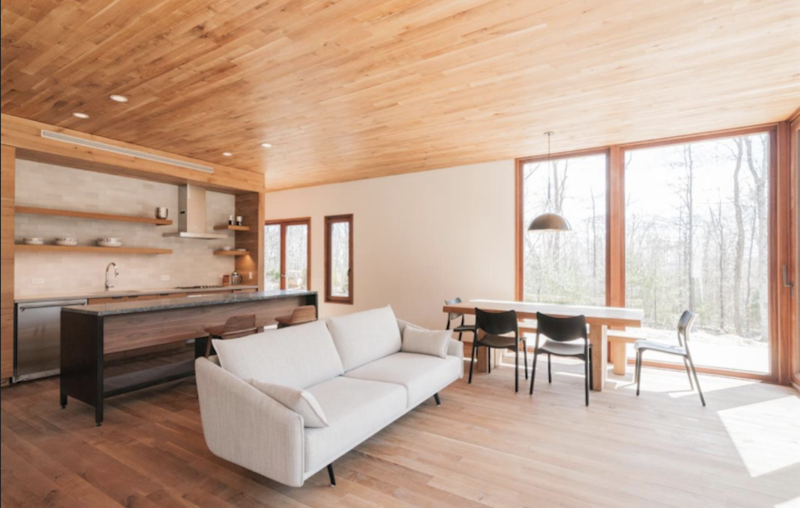 This is a rare opportunity to experience the Hudson Woods lifestyle, only 2 hours from NYC. Give us a call to see this property: This won't last long!